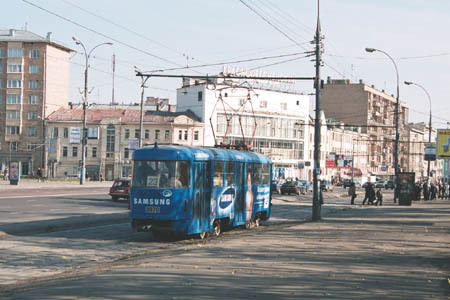 A tram of route 23 is turning from Krasnopresnenskaya Zastava Square to Trekhgorniy Val Street. The Square, as viewed from the top of a small hill. 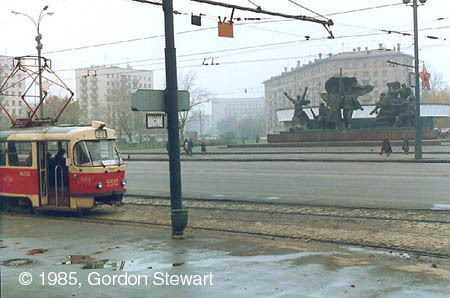 Almost the same place in 1985, with a better view of the monument to the revolutionary events of 1905-1907 in front of Ulitsa 1905 Goda metro entrance. 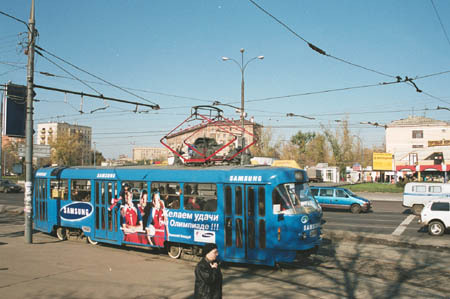 This tramcar is approaching a stop, where lots of passengers are waiting for it. 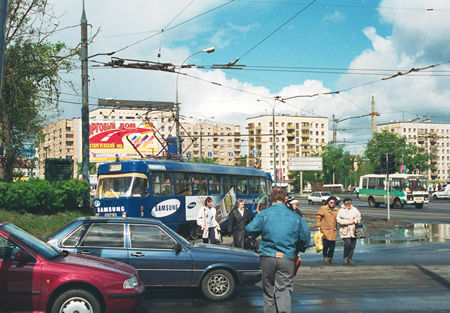 Krasnopresnenskaya Zastava Square and the beginning of Zvenigorodskoye Shosse. 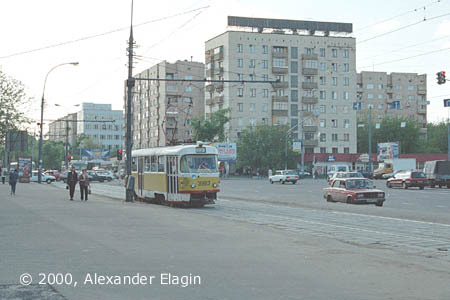 The architecture of this corner is not a very pleasant one - it just displays the cheap style of 1970's.